The error occurs on loading universe by the BO SDK before the universe is imported to the tool. Therefore there is nothing we can do in UnxDoc to avoid the issue. 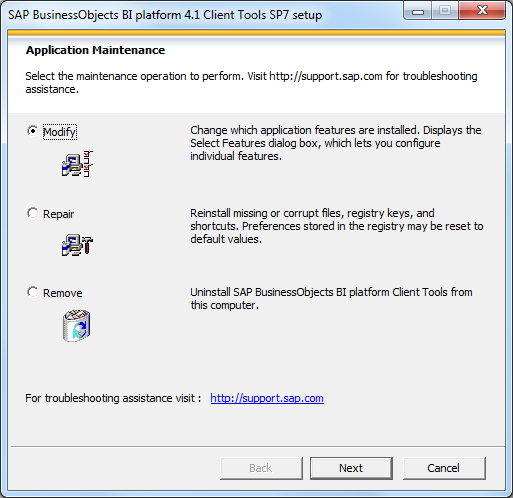 The issue is fixed by SAP in higher version of BusinessObjects (e.g. BO 4.2 SP6). The issue is most likely caused by some internal universe issue. Usually it is not possible to find it by Information Design Tool. 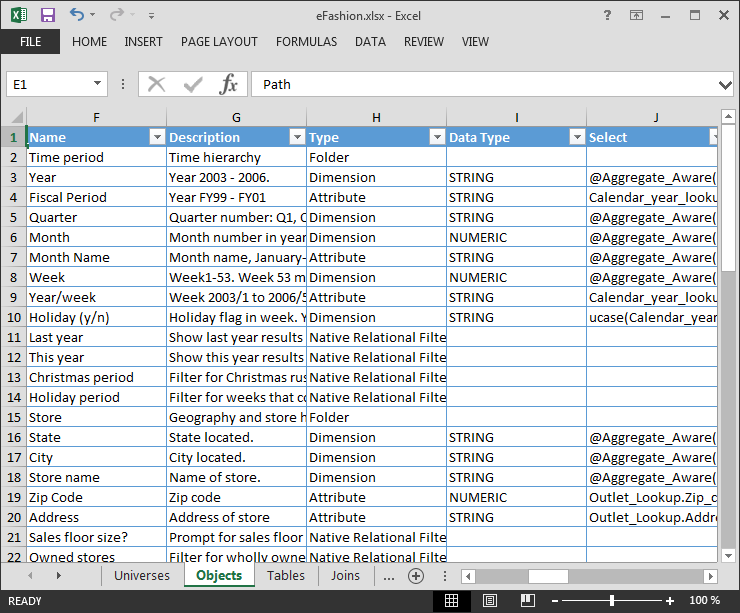 The log above corresponds to an issue with list of values based on business layer query with missing query. Unfortunately the only way to find such objects is to review all list of values manually from IDT. If you use UnvDoc for BO 4.1 SP12, 4.2 SP6, you may encounter the following errors. of SAP Business Objects. We are not able to fix it on our side. Hopefully it will be resolved in future Service Pack or Patch. We do not know yet the exact Service Pack when the issue was introduced. UnvDoc should fully work for BO 4.1 SP7, 4.2 SP3. Login to Universe Design Tool and import universes that you want to export to Excel. Close UDT. First you need to make sure that you can run Information Design Tool with Windows AD. 1) Make sure that you have c:\winnt\bscLogin.conf and c:\winnt\krb5.ini files. They may also be located under c:\Windows. If you do not have these files on your PC, they should be available on BO server. 3) Try to login with Windows AD credentials. If any issue, resolve them before proceeding with unxdoc. 3) Add the parameters after javaw.exe (in one line, separated by space. There should be no spaces in the path. There should be no space before or after =. E.g. 5) Start unxdoc.bat and try to login with your Windows AD credentials. New version has been released. In a standard database, each field of a row contains a single value. This is not the case for BO CMS database. A property can have a quite complex structure. A simple example is SI_DSL_UNIVERSE property for Web Intelligence documents that indicate what Unx universes are used by the document. The wide format is sometimes inconvenient. “Transpose” will create a row for each value of each array. Undo with Ctrl-Z, Redo with Ctrl-Y. Execution of the query in the selection. 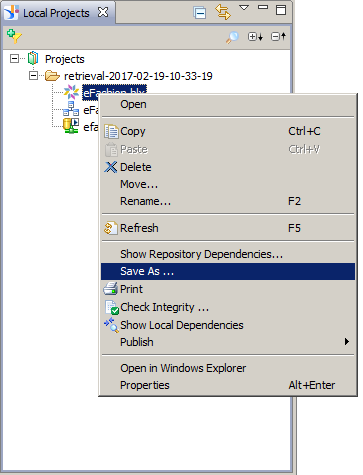 Possibility to create new, edit and delete templates from the Template menu. Corrections in the default templates. Tool tip for column names. A new transpose feature for exporting containers. 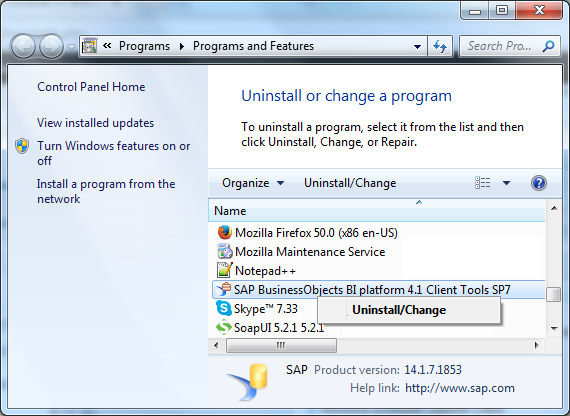 Note that the option Uninstall/Change is only available on the base installer (it is not available on patches). When you run Uninstall/Change on the base installer, it will detect the current patch level and modify according to the current level of patch of the platform. Click Next on language selection. 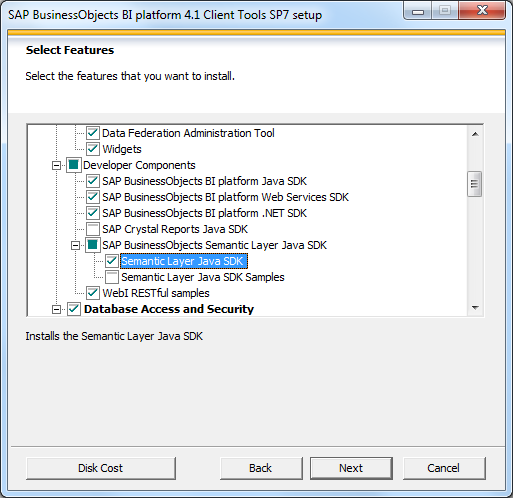 Add Semantic Layer Java SDK and complete installation with Next. 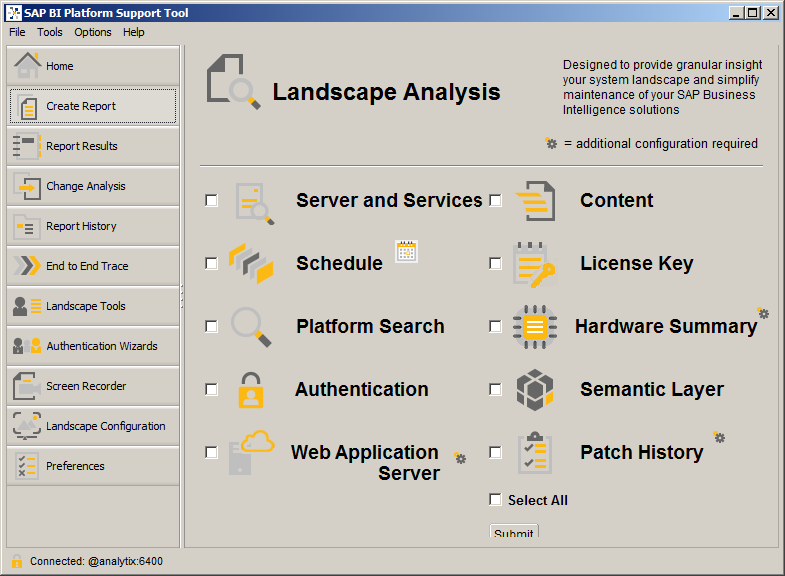 If you are a SAP BO administrator or a consultant, you will find the following SAP tool very helpful. SAP BI Platform Tool is designed for supporting BI Platform administration. It simplifies the process of reporting on the landscape configuration, performing root cause analysis tasks, and delivering performance optimization and go-live services. This tool is free of charge and is maintained by SAP. You can quickly create PDF documentation of a Unx universe from IDT (Information Design Tool). But PDF is not good if you need to analyze universe in some way. For this purpose, it is better to have Unx metadata in Excel spreadsheet. You can use Biclever Unx Documenter (UnxDoc) to extract Unx information to Excel spreadsheet. In this post we will describe both ways of documenting Unx universe. 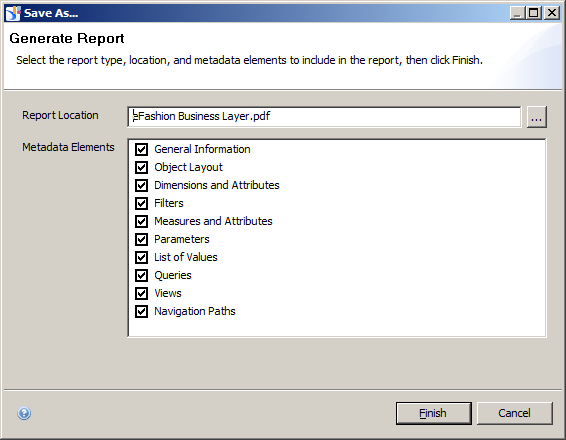 You can create separate PDFs for business layer, data foundation, and connection. Retrieve Unx universe to IDT. 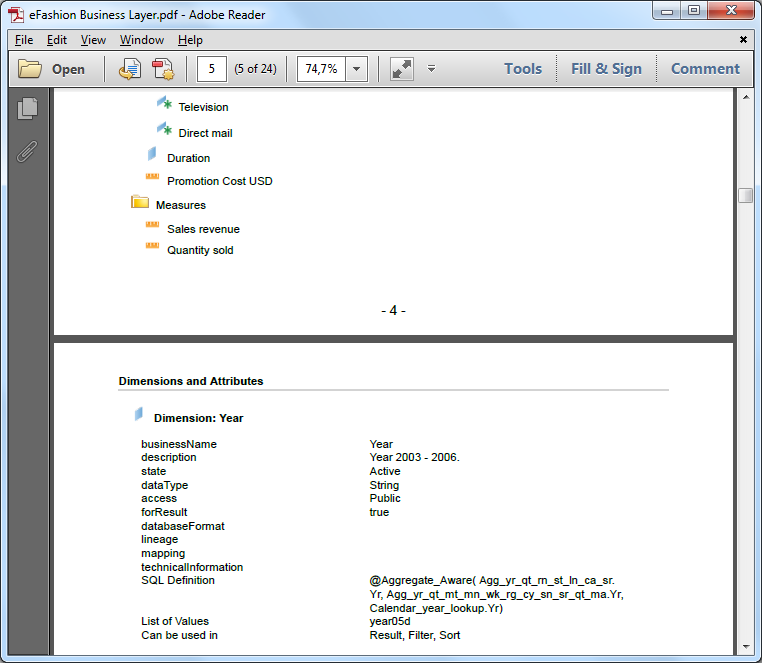 Right click on the item you want to document (for instance, business layer), and select Save as. The documentation looks good and ready for printing. If you need to create some documentation of your universes quickly, this is the easiest way. However if you need to use the documentation for any practical purpose, you will need a more structured format. Download Biclever Unx Documenter from Software > Unx Documenter. Unpack it to a preferred folder. Check if you have Semantic Layer SDK enabled. Start the tool using unxdoc.bat and log in. Click Process and then Export result. Select destination XLSX file. The universe metadata will be exported to Excel spreadsheet. 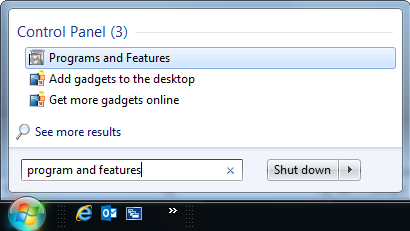 Now you can easily filter, search and analyze the information in Excel.